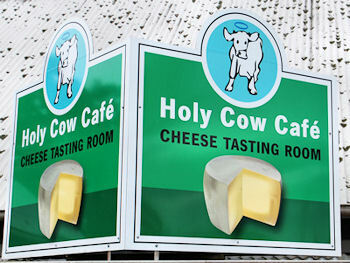 The Holy cow is run by relatives of Robin, so we definitely had to have a look. Coming down from the Blue tier, the settlement of Pyengana is not easy to find, but eventually we made it there for a second breakfast. 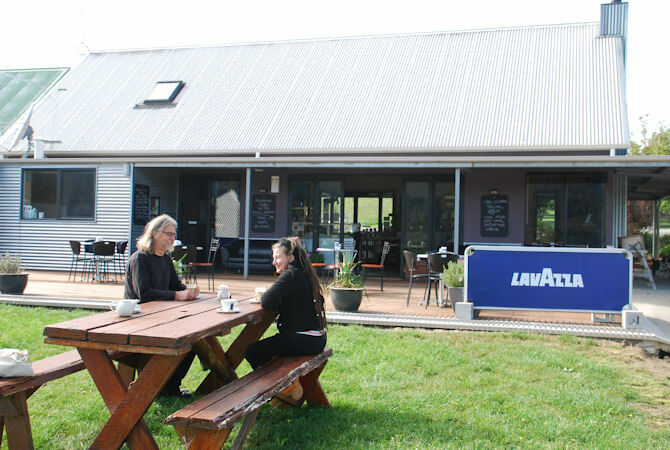 It's one of the places where one finds the shortest possible way from cow to cup. 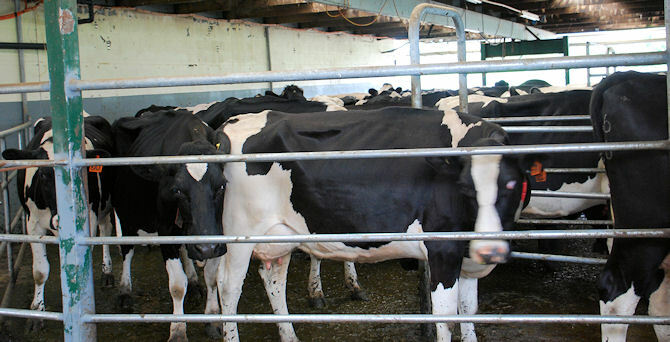 From the table, one can have a look at the dairy cows queuing up for their milking robot. 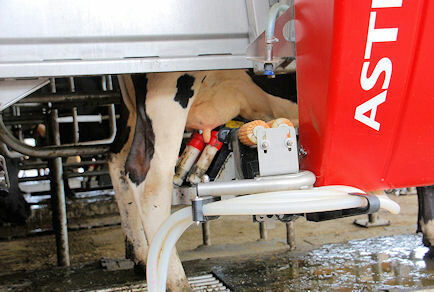 The robot is not only real high-tech, it also is a pure delight for the cows. As we learned, they neither like getting touched by humans nor keeping the strict schedule they have to follow in more conventional places. 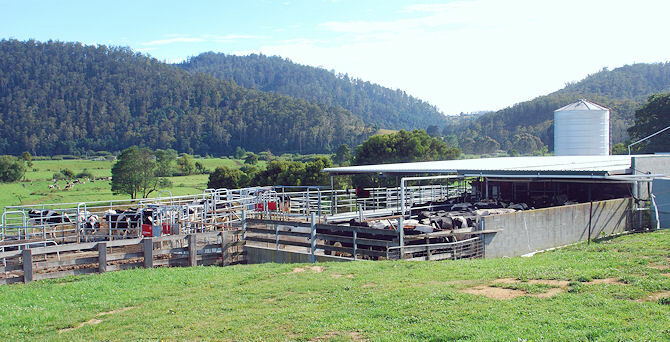 Some of them would like to have one turn after the other, but the robot is clever: it cannot only find, clean and milk the udder independantly, it also will identify the cow, feed her according to what is best for her according to last test results. Also, it controls the gate so every cow can only return from the meadows after a fixed time span. 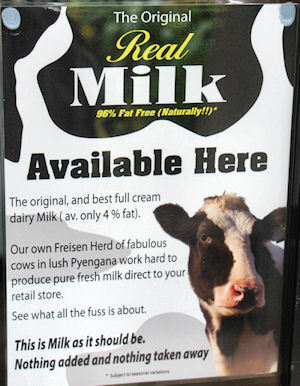 And it's clearly visible: they cannot wait getting milked. After the milking, there also is a little wellness place provided: rotating brushes scratch any place the cow would like to get scratched. And they are indulging it! Still, the delight it also provides to the observant upsets John a bit: the whole milking technology had cost them a fortune, but everyone only looks at 500 AUD brushes! Well, not everyone could have a look at the robot like we did. 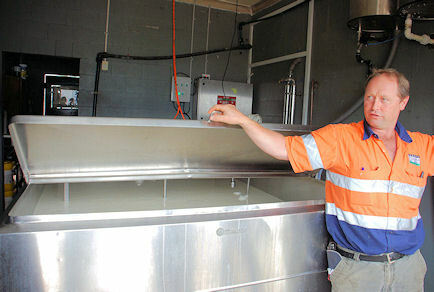 From the milking robot to the cheese making it only takes metres. 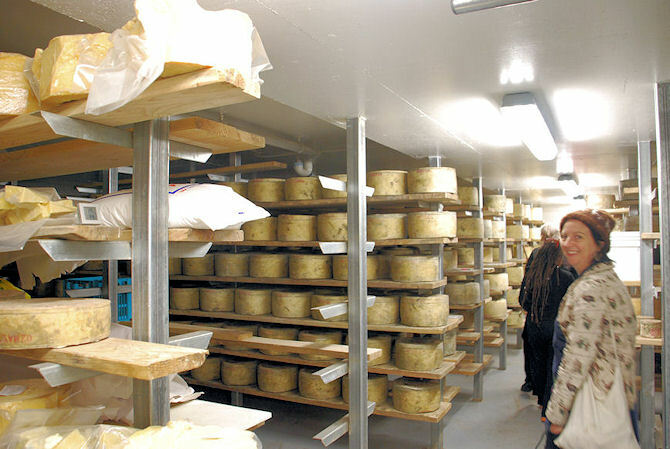 After the first steps, the cheese will spend a long period in the store under daily maintenance. 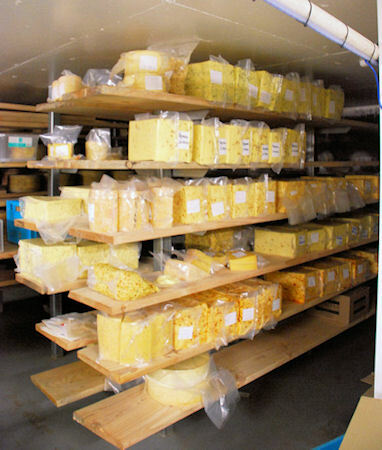 All the cheese still has the same original taste during this time. 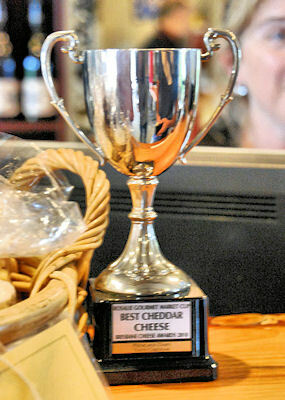 Any additional flavours will only be added short time before selling as otherwise the cheese would turn crumbly.